YG Entertainment's newest boy group debut project, 'YG Treasure Box', has unveiled its first teaser. The first teaser takes viewers into the various meeting rooms inside YG's building, which is currently undergoing construction. 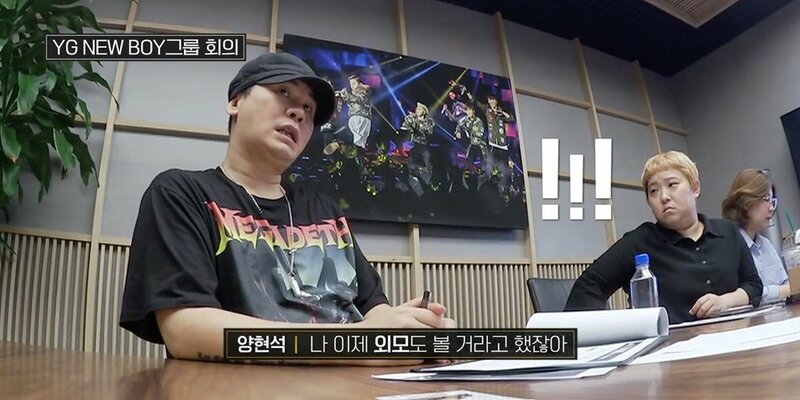 In a meeting with the YG staff, head producer Yang Hyun Suk states, "YG is launching a new boy group... And remember, I said I was going to start looking at visuals too, now." By the end of the teaser, you can see a glimpse of the new boy group trainees in the practice room... but you'll have to wait a little longer to see their clear faces and get to know each trainee. 'YG Treasure Box' premieres on November 16 at 10 PM KST via 'V Live' and 'Naver TV Cast'!